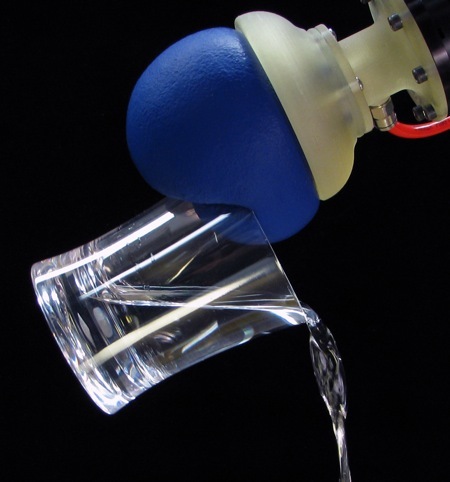 Researchers at the University of Chicago, Cornell University and iRobot who developed the Universal Jamming Gripper have recently taught their robot to throw things! The Universal Jamming Grippers consists of a balloon filled with sand or coffee grounds. When slightly inflated it can wrap itself around an object. Then when the air is removed the balloon tightens its grip and holds tight.